September 1st marked the release of our new covers compilation album, Under Cöver – a collection of some of the band’s best covers ultimately celebrating a love of interpreting the work of music legends. October 13, 2017 will see the release of the physical album formats in North America, including 1CD (Digi pack) and 1x 180 grams Black Vinyl in gatefold. Click here for CD Pre-order. Click here for VINYL Pre-order. 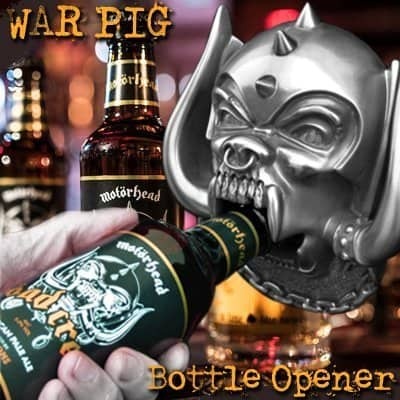 Right now, MOTÖRHEAD is also running a “Show us your Heroes” social media contest! Fans can upload photos of their personal heroes (musical, or otherwise), and tag #Motorheadheroes on Facebook, Instagram and Twitter. Feel free to add a short line about who the person is and why they’re your hero. The contest winner will be chosen in early October and will win a special MOTÖRHEAD 40th Anniversary prize pack! Watch the music video for the cover of David Bowie’s timeless classic “Heroes” The music video features massive performance footage and heartwarming behind the scenes images and video of the band. Recorded during the Bad Magic sessions in 2015 by Cameron Webb, “Heroes” was one of the last songs MOTÖRHEAD recorded together. 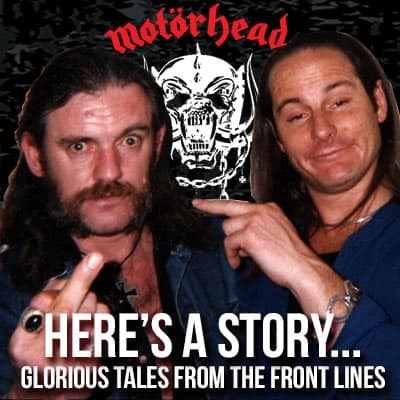 All songs performed by MOTÖRHEAD.